This tool gives you the ability to analyze the quality of your audio system in an accurate way and to find out the sound intensity your system emits at different frequencies. 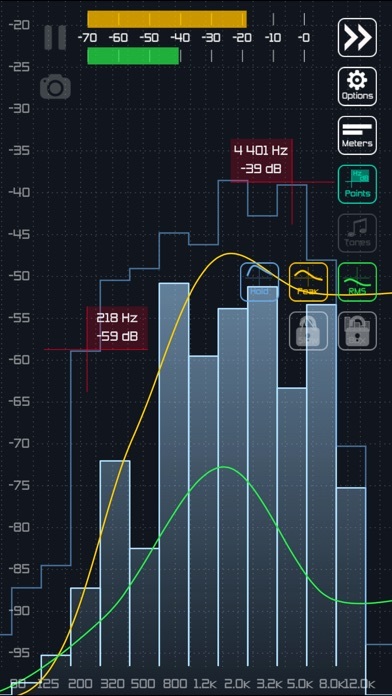 Easily find frequency swings, then set up your equalizer to take them into account based on the information provided by the app. RTA Audio analyzes the signal from a microphone or the line-in input. Outils / AccordeursNew Ball s.r.o.